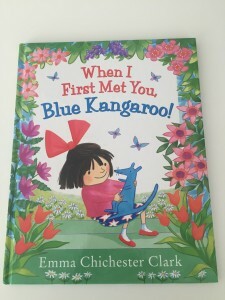 We recently received another lovely surprise in the post: a copy of the latest Blue Kangaroo publication ‘When I first met you, Blue Kangaroo!‘ which is published today. 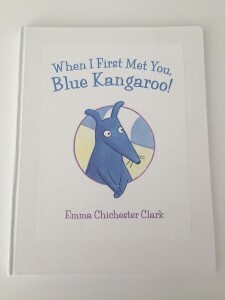 The author & illustrator of this brand new book, Emma Chichester Clark very kindly sent Margot a draft ‘mock-up’ copy of this book in October last year, after learning that Margot loved her ‘I love you, Blue Kangaroo!‘ book. 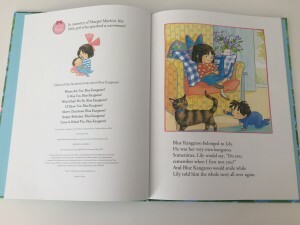 The video below of me reading the draft copy of the book to Margot was filmed just a few days before Margot died and shortly before she lost consciousness. 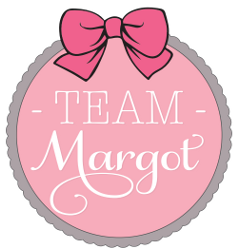 Margot was subdued at the time – she was in a great deal of pain and we were intensively managing her care from home, supported by outreach nursing staff working under the advice and guidance of the palliative care team at Great Ormond Street Hospital. 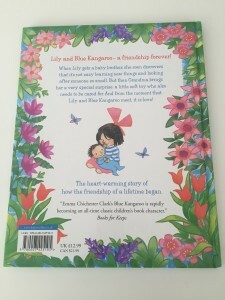 The newly published book includes another tribute to Margot at the start of the book, which is extremely touching. 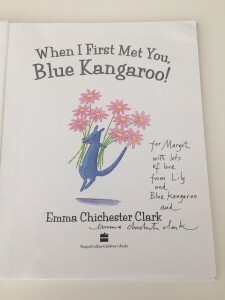 Thank you so much again Emma ! 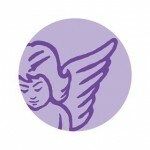 « Celebrate the good times !